I think women are much smarter than men.” Pat comes his reply when I suggest that while women loved his latest romantic story Love Aaj Kal (LAK) starring Saif Ali Khan and Deepika Padukone, most men were not visibly impressed. 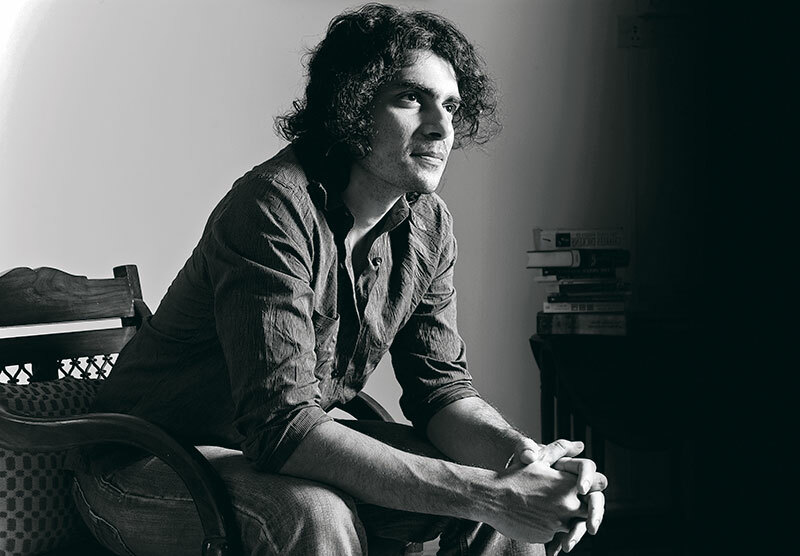 Despite how it sounds, Imtiaz Ali is extremely self-effacing, to a point where he appears not to believe in his own success. It seems to be a mere accident that he can be considered a film-maker of distinction, in a space of the simple love story. Ali, contrary to expectations, doesn’t like watching love stories. “I prefer relationships like those in Wong Kar-Wai’s Chungking Express (1994). There will always be a man-woman relationship in my films – I am old enough to admit that I like women.” That would explain one of the strongest elements of his cinema – his deep characterisation that surpasses the situation, story or script. The 38-year-old believes that fire is not born on screen alone – that chemistry exists first in the script; and particularly if the actors are suited to the characters. And he has a bias towards actors who haven’t done much work together: “If there is a kissing scene between a couple that is kissing all the time, there is no big deal – it is almost brotherly.” While Ali’s films display the maturing of a love story, happy endings are not a prerequisite. LAK was actually supposed to end unhappily, before he realised (with some insight from director-friend Anurag Kashyap) that it would not be very profound to start and end with a break-up. While it is the crisp attention to contemporary dialogue and situations that is the hallmark of an Imtiaz Ali film, there were some murmurs about conversation over-kill in LAK. He looks piercingly back, appearing unfazed. “I am not a very good writer. I’m a director who manages to put his thoughts on paper. A writer would have more precision, more imagination in terms of dialogue. Don’t get me wrong – I’m not saying it doesn’t work. But, sometimes I feel that what I am writing is merely a code for the director [myself] to understand at the time of the shoot.” Writing the scripts for his previous films was a matter of circumstance, not choice. And yet, starting from school skits, the work that he enjoyed doing the most was that which was organic, home-grown and self-written. Regardless of his personal opinion, after winning accolades for Jab We Met (2007) – which he is dismissively appreciative of – Ali can’t escape his own writing.